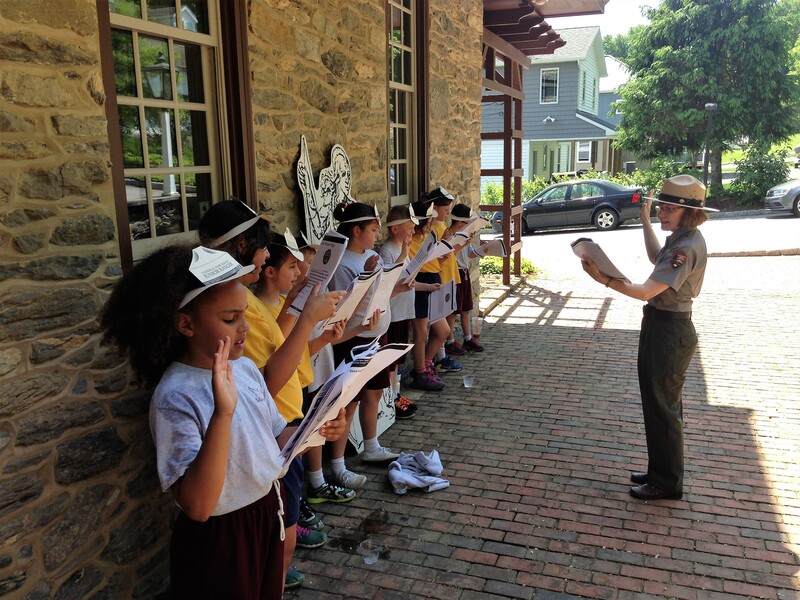 Susquehanna Heritage and the National Park Service offer field trips for local 4th grade and 5th grade students. 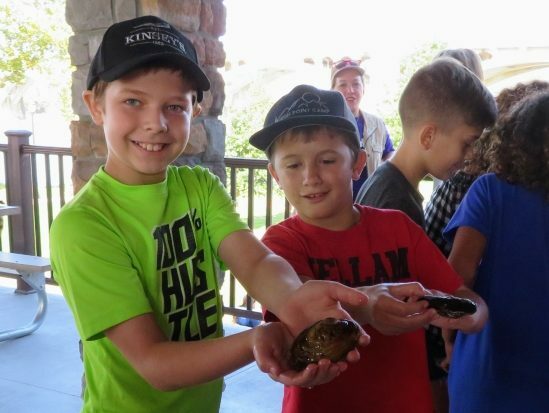 The fourth-grade field trip was initially developed by Jerry Schenck, a fourth-grade teacher from Wrightsville Elementary School who participated in the NPS teacher development program. 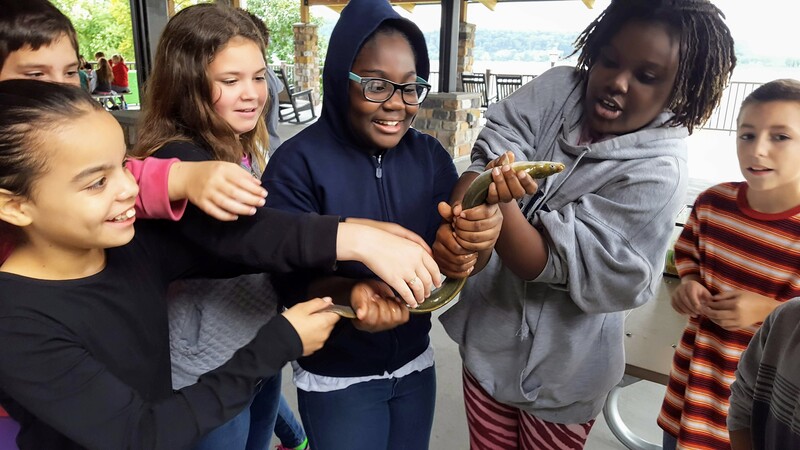 Since its inception in 2016, local fourth grade students have explored the river at the Susquehanna Heritage’s historic mansion, the Zimmerman Center for Heritage. 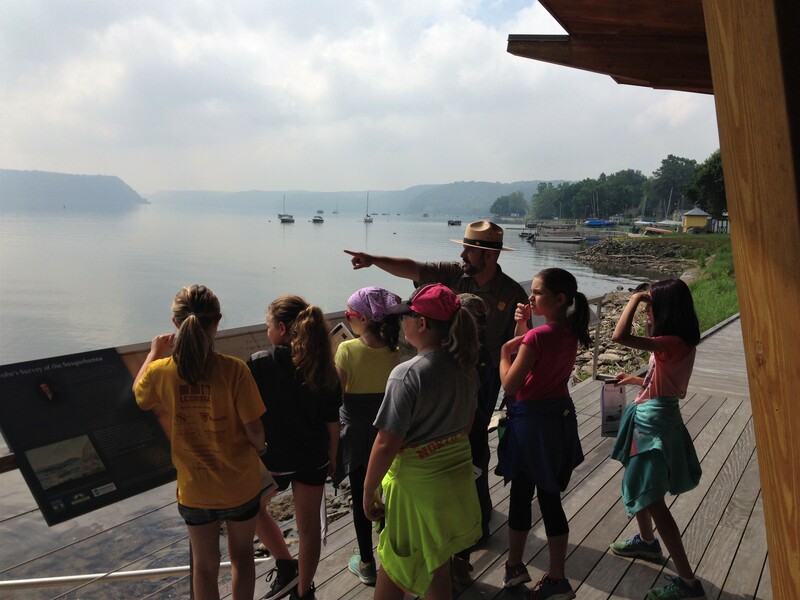 During a scavenger hunt at the Zimmerman Center and its waterfront pavilion, students learn about the travels of Captain John Smith and how he documented what he saw, as well as the history of the Susquehanna River. 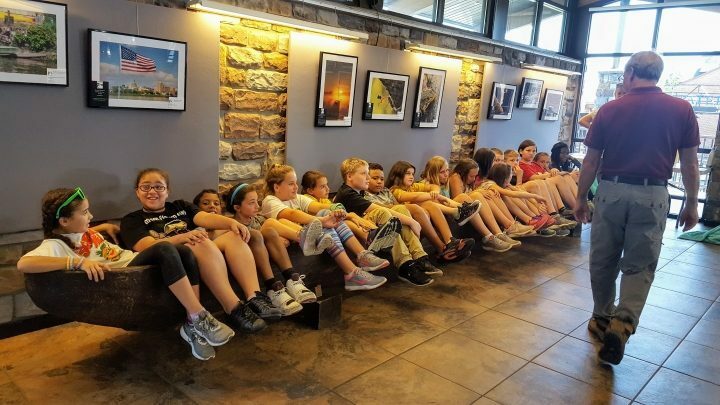 Students are led on a guided hike to Native Lands County Park to see the site of a former Susquehannock Indian town and learn how colonization affected how and where they lived. 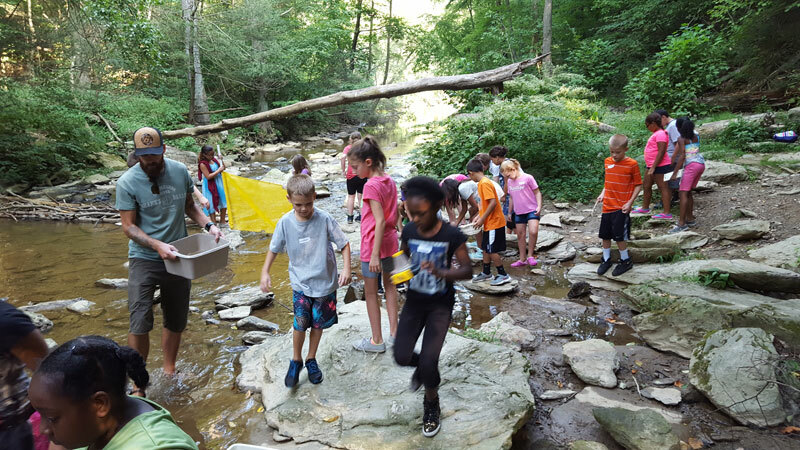 Finally, students take part in a field stream study to learn how each person’s actions affect the health of rivers and streams and the Chesapeake Bay. 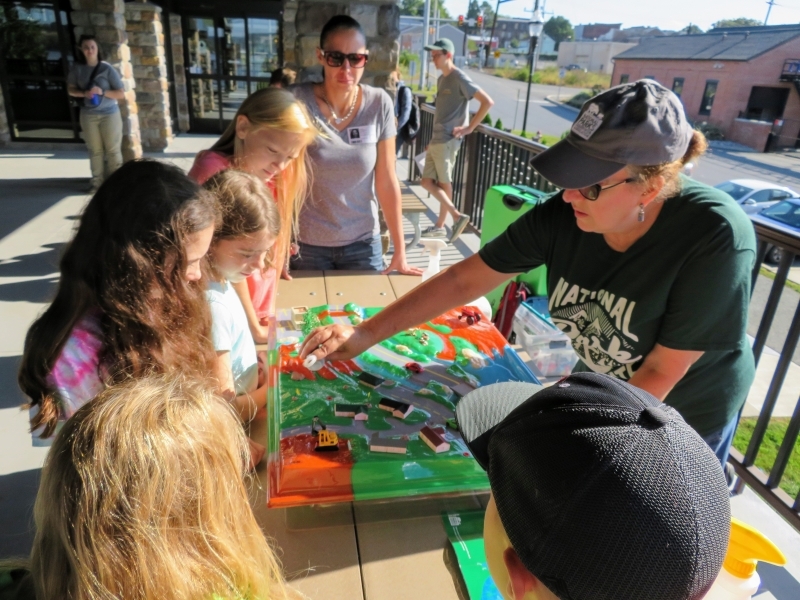 As part of the experience, students complete a Chesapeake Trail Susquehanna River Edition of the NPS Junior Ranger Activity Book. At the end of the day, a National Park Ranger swears each student in and presents him or her with Junior Ranger badges. 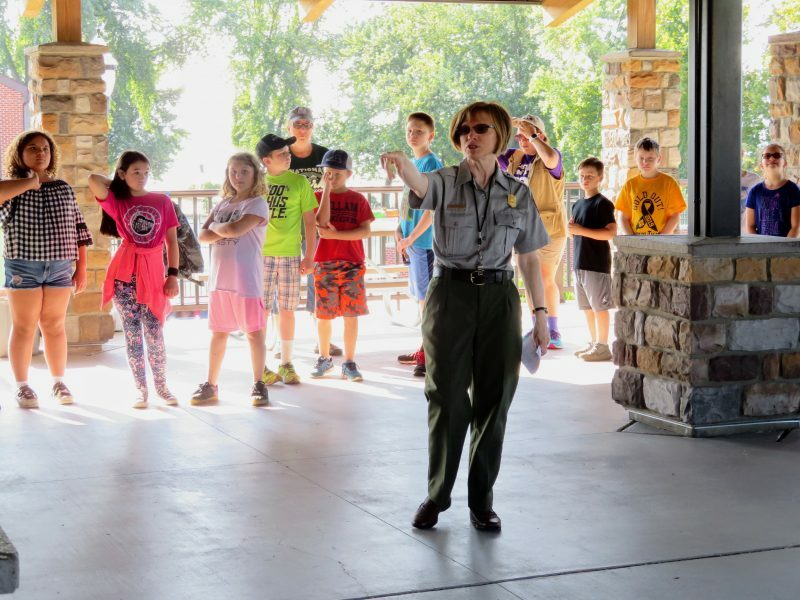 With the conclusion of the 2018 field trip season, the program’s 1,015th student took the Junior Ranger pledge. 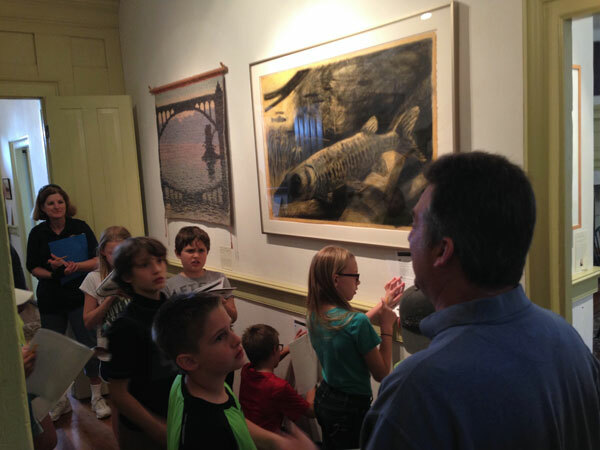 Susquehanna Heritage with the support of partners and donors now also offers an additional field trip for fifth grade students. 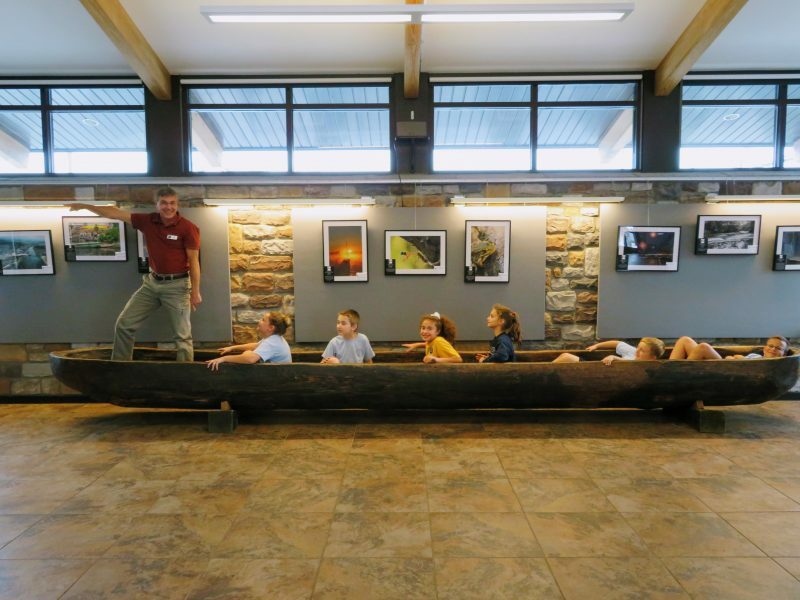 Fifth grade students paddle the Susquehanna in 24 foot Voyageur canoes, and participate in field studies, learning about the science, history, geography, and culture in their home towns. 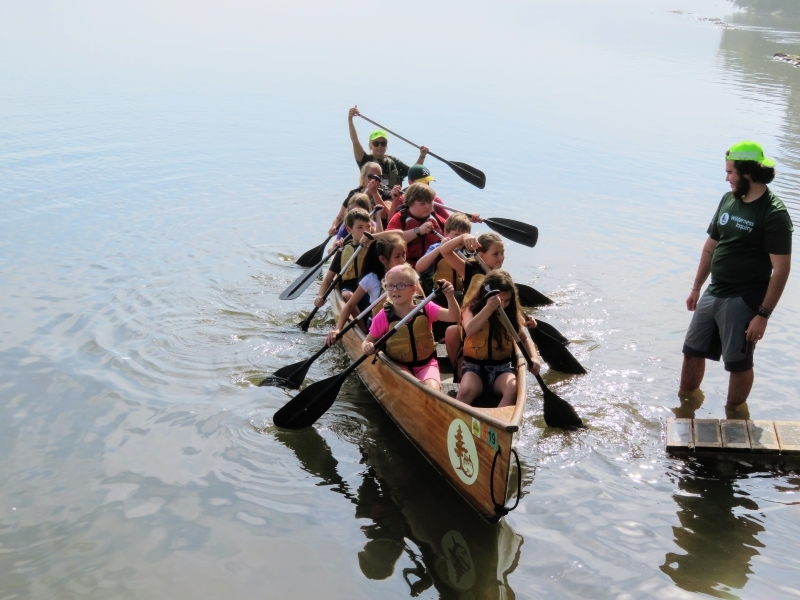 A traveling organization, Wilderness Inquiry provides the boats and paddling experience while local partners plan and deliver the land-based lessons. 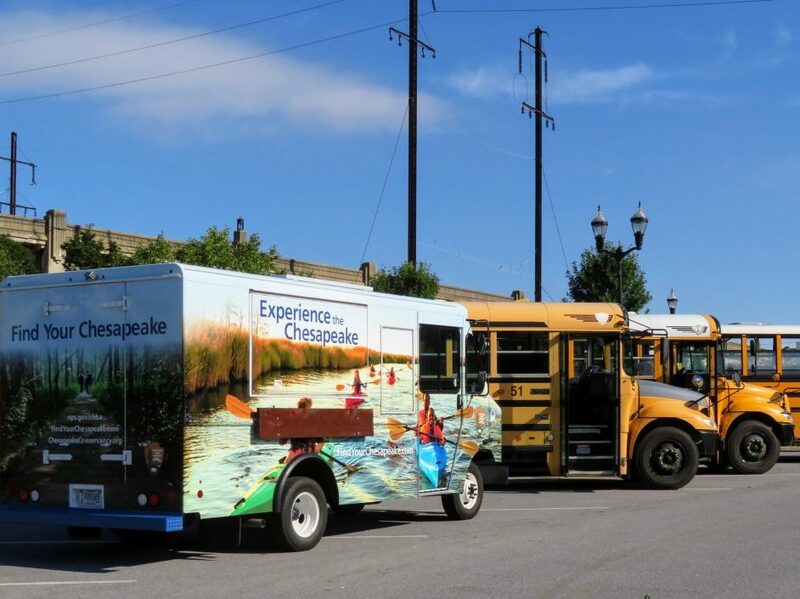 Each year the Canoemobile also offers general public to enjoy a paddle in these jumbo sized canoes. Interested in bringing your school for a field trip? Contact National Park Service Ranger, Jackie Kramer at 717-252-0229 ext 4.